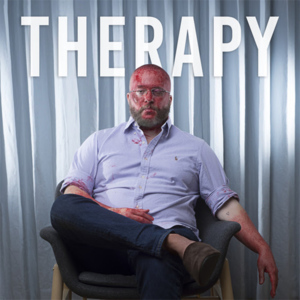 On Therapy, Radical Face has let go of all his past narratives. Instead of an intricate saga, he's kept his parameters simple. Instead of his troubled past, he's focused on his scarred present. Instead of acoustic folk, he's written lush compositions. Unsure yet confident, battered yet resilient, Cooper is taking Radical Face in a poignant new direction. With The Family Tree, Cooper sought to confront his difficult upbringing in Florida by forming a fictional genealogy paired with stirring folk arrangements. Intense family drama near the end of the process pushed The Leaves to take on a far more personal tone, as Cooper felt "dishonest… putting it into a separate avatar." That only made the songs increasingly more difficult to perform, however, which coupled with the artistic exhaustion of pairing music with his grand concept made him pine for palliation. Weekly therapy sessions helped him realize the portrait he'd created in The Family Tree was masking the hard truth: "There's no real positive there," as Cooper puts it. While he's proud of the work he did on the trilogy, he looks at it differently now that it's in the rearview. "I don't regret it, but it wasn't what I thought. I thought I was telling a different story, immortalizing the strange into something beneficial rather than just dysfunction." Approaching songwriting from this painfully achieved mindfulness has opened Cooper up to fresh understandings. "Looking back, it's like letting go. Mourning concepts, in a way," he explains. "Sometimes you have a narrative, it's an idea, a projection you see for yourself. Sometimes, you're able to understand that that's just some picture, you would never be that thing. It's letting go of the narrative."